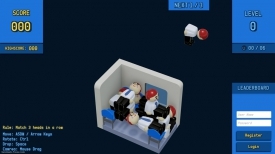 "A classic game of Tetris using humans on a train!" Most people are familiar with the classic block placement puzzle game Tetris, but this Passenger Tetris is an ingenious update on that where you must try to line passengers up and get their heads in a row to make them explode and give you more space to fit more people in the small train carriage. The game is a lot of fun especially for those of you who enjoyed the original Tetris game, it looks good, with simple but inviting and easy to see animations, the game play controls are almost identical to Tetris however there is one flaw in that unlike the original game there is no option to make the blocks (or in this case people) drop down the screen faster which can make the game fairly slow at times, that aside though this a great update on a classic game and we would highly recommend it to any fans of puzzle games. Passenger Tetris is still in its fairly early stages of development and at times can occasionally have a bug such as getting a game over even when you have placed a person in a valid position, but bugs aside this is a really fun and enjoyable game. 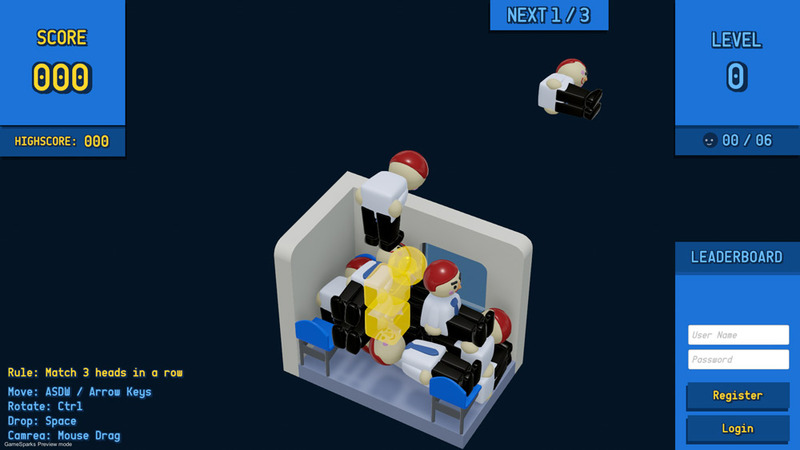 You can download Passenger Tetris here for free.